25/10/12 - Publications - French Ministry of Culture - In 2010, the Direction Régionale des Affaires Culturelles Languedoc-Roussillon launched an original and, in fact, quite remarkable initiative : a collection of short and extremely serious and well-documented works on the region’s heritage, entirely free of charge (except shipping fees) for anyone requesting an order through email or postal service . Eleven titles have been published on both monuments or art objects (hence the title of the collection : Duo. Monuments. Objets) and covering all the periods from the Middle Ages to the 20th century. Readers will find monographs on buildings such as La cathédrale de Saint-Michel de Carcassonne which takes a look at its history as well as the art objects it contains ; studies on restorations of monuments such as La restauration de la façade sud du château de Capestang or a more general subject (Les monuments historiques et la pierre) ; essays on an object (La chaise à porteurs du château de Marsillagues) or a collection (Felice Fontana. 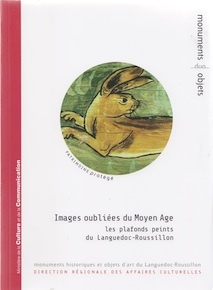 L’aventure des cires anatomiques de Florence à Montpellier) ; essays on listed heritage ensembles by category (Images oubliées du Moyen Age. Les plafonds peints du Languedoc-Roussillon and Du négafol à la barraca, le patrimoine maritime en Languedoc-Roussillon) ; monographs by architects who worked in the region (Armand Pellier, architecte, de la pierre du Pont du Gard à la modernité or Jean Balladur et la Grande-Motte. L’architecte d’une ville  ; a historical figure linked to the Languedoc-Roussillon (Urbain V, grand homme et figure de sainteté). Even certain titles which do not fall in the chronological field covered by The Art Tribune might in fact be connected. For instance, in the work on the Faculté des Lettres et Sciences humaines de Montpellier , a chapter looks at the museum collection of plaster casts at this university, one of the very few museums of this type to have survived the iconoclastic wave of the second half of the 20th century which considered that plaster casts (and more generally 19th century ones) were of no interest. Accessible to the general public and useful for researchers, these small and very well illustrated books are an excellent achievement. At a time when there is talk of culture for all, without really knowing what that means, or culture for the individual, abstract and vain notions often leading to events which are cultural only in name, there is nothing more democratic, and less demagogic, than a collection of books on the historical and artistic heritage of a region offered free of cost to anyone making the request. Do not send checks : the shipping price will be given depending on the size of the order and you will have to forward an envelope with the corresponding postal stamps. Le campus de la faculté des Lettres et Sciences humaines de Montpellier, une création architecturale et artistique des années 1960.